Maybe the vocal coach you’d like to work with is not available the same time as you are. Your schedules don’t match? Well, with online courses, you can learn to sing when it suits you best! Maybe you can learn 3 days a week but only for half an hour and the vocal coach you’d like to work with only does a 1 hour lesson a week. With the online singing courses, you can schedule your own lessons. From home, from your holiday rental, as long as you have a good internet connection to watch and listen to the videos, that’s fine! With online courses, you can improve your singing WHEREVER you are! 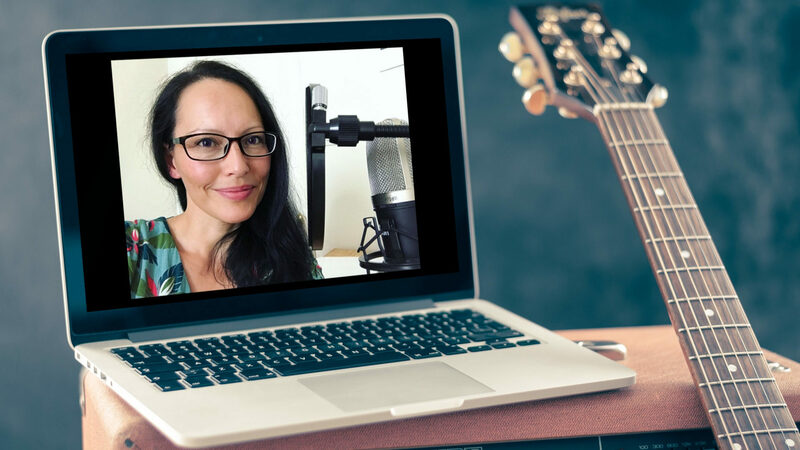 Because online courses are not a 1-to-1 course that takes the energy and the time of your vocal coach for your eyes only, the price is much more affordable. If you’re budget is tight right now, that doesn’t mean you cannot work on your vocals and improve your singing! Online Singing Courses can really help you. …except if you choose an Online Course with a 1-to-1 vocal coaching included. Like, there can be the course plus a group coaching session or a private coaching session so you can ask questions if you did not understand something. The vocal coach will help and guide you. …for online courses! OK, it is obvious but if do not have a good internet connection allowing you to watch videos, to listen to mp3s or videos or to post anything, then of course, online courses will not be your choice. as there will not be a coach to assign you things to work on or to ask you if you worked on your vocals. If you procrastinate, you will have paid the course for nothing, hugh! You can then choose an online singing course with the vocal coaching included. Sometimes, local singing teachers have a great network and it can be the opportunity for you to perform, to sing in front of other students, to meet musicians. The PROs and CONs of ONLINE SINGING COURSES! *if you’d like to try out an online singing course, check out my Spice Up Your Vocals program!